Lead (Pb) is one of the most ubiquitous and toxic elements in the aquatic environment. Bacillus subtilis (B. subtilis) is a widely used probiotic in aquaculture. The aim of this study was to explore the toxic effects on bioaccumulation, hematological parameters, and antioxidant responses of Carassius auratus gibelio (C. gibelio) exposed to dietary lead at 0, 120, and 240 mg/kg and/or B. subtilis at 109 cfu/g. At 15 and 30 days, the fish were sampled and bioaccumulation, hematological parameters, and antioxidant responses were assessed. 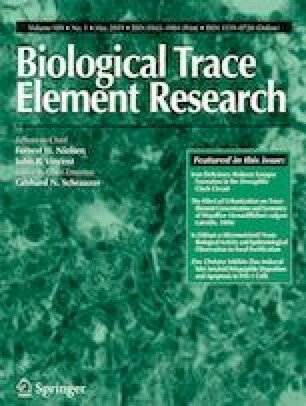 The result showed that B. subtilis administration can provide a significant protection against lead toxicity by reducing lead bioaccumulation in tissues, increasing the antioxidant enzymes activity, recovering δ-aminolevulinic acid dehydratase activity and optimizing the hematological parameters. Our results suggested that administration of B. subtilis (109 cfu/g) has the potential to combat dietary lead toxicity in C. gibelio. The work was supported by the National Natural Sciences Foundational of China (no.30972191) and the 948 Program from Ministry of Agriculture of China (no.2014Z34). This study was approved by the Ethics Committee of Jilin Agricultural University with ID no. 20121008. All subjects signed their informed consents before participation.